With the explosion of food blogs in the last couple of years, there are more recipes available at the tip of your fingers than ever before. Craving chocolate chip cookies or Sriracha-flavored anything? You're guaranteed to have several thousand versions to choose from. 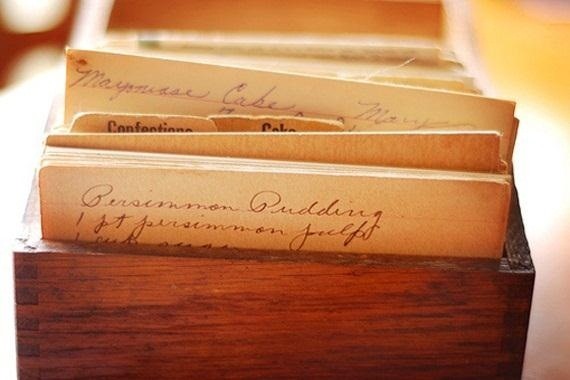 If you like to print out recipes to reference while you cook, it can be difficult to find a convenient place where they're easy to see and don't get in the way. 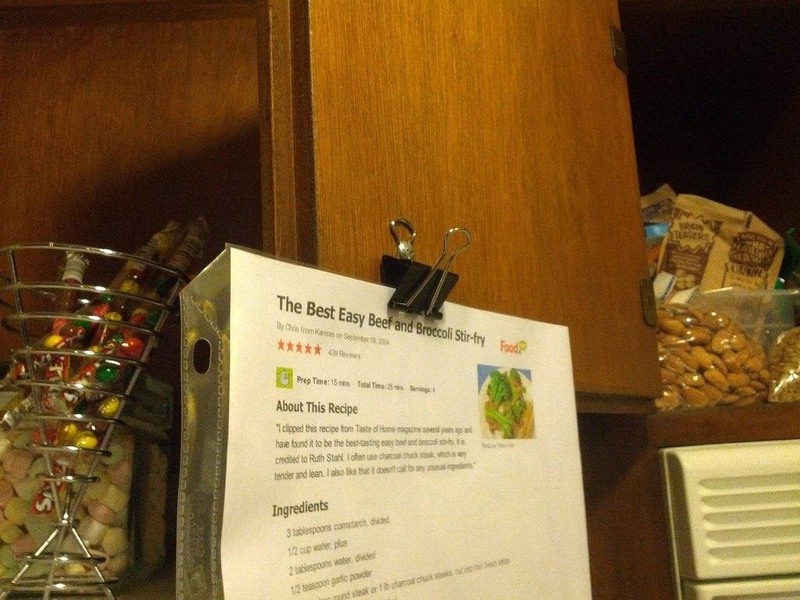 But with a little modification, your kitchen cabinets make perfect recipe holders. Here are just three quick and easy kitchen hacks for your recipes. With a few small neodymium magnets, which you can find in a variety of shapes and sizes both online and in home improvement stores, you can easily hang your recipes at eye level. 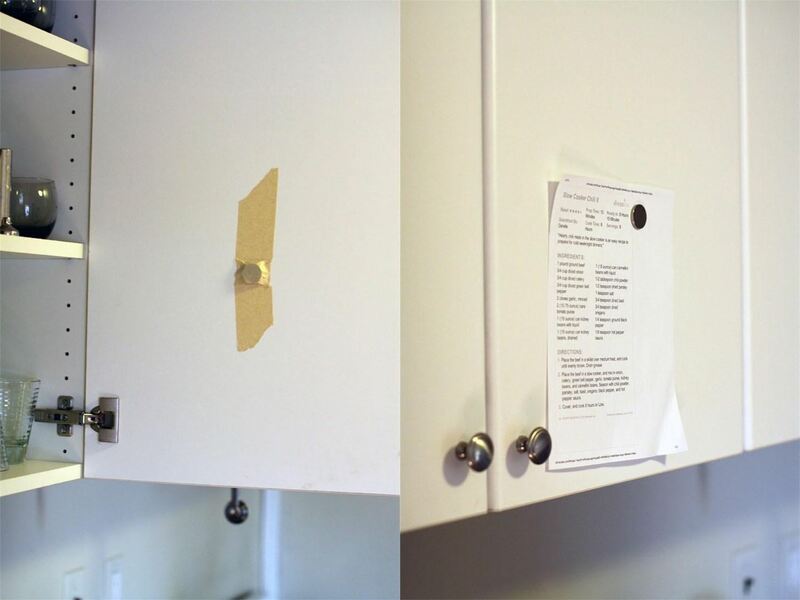 Redditor melp just attached one magnet to the inside of the cabinet using masking tape, which makes it easy to pin the recipe to the outside with another. You could, of course, tidy this up a bit by using glue instead of tape, or just buy the magnets with peel-and-stick adhesive, but they should still be neodymium, or they might not be strong enough to penetrate the cabinet door. In the same reddit thread, Beaver-Believer suggested attaching a binder clip to the inside of the cabinet door by placing it behind the screw for the handle. As long as you don't mind cooking with the cabinet hanging open, you're golden. Now for the simplest solution of them all. If you don't want to attach anything permanently, just use a pants hanger! 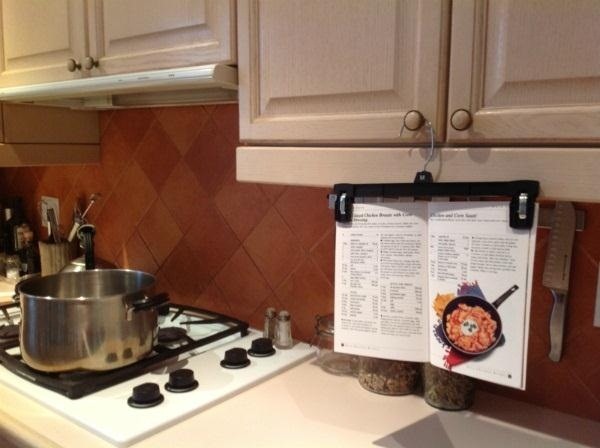 The clips are perfect for holding recipes, or even a paperback cookbook, and you can just take it down whenever you're done. Prefer digital recipes? This easy Sugru mount puts your tablet at reading level and keeps it safe from spill and splatters. What do you do with recipes? Know of any other tricks that aren't on the list? Share them with us in the comments below.